Top European Union officials struggled to reassure smaller countries that they would not be left behind as the bloc charts its future without Britain. BRUSSELS: Top European Union officials struggled Friday to reassure smaller countries from the east that they would not be left behind as the bloc charts its future without Britain. At a summit in Brussels marred by a rift with Poland, the presidents of the European Council and executive Commission repeated calls for unity as the remaining 27 nations debate whether the world's biggest trading bloc should become a federal super-state or temper its ambitions. "Our main objective should be to strengthen trust and unity within the 27," European Council President Donald Tusk said after chairing the final session of the two-day meeting. "If you want to go fast, go alone. If you want to go far, go together." 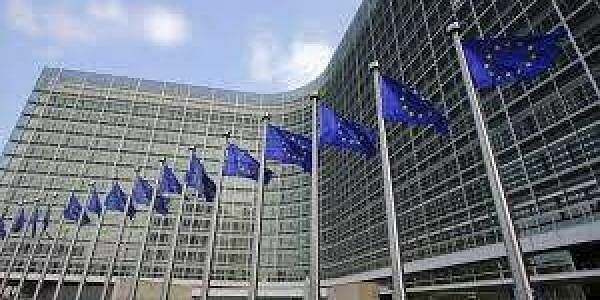 The session was meant to focus on preparations for a grand meeting in Italy on March 25 to celebrate the 60th anniversary of the EU's founding Treaty of Rome, but spiraled into an argument about whether heavyweight states should be allowed to forge ahead alone. The 28 EU member nations already operate at different speeds in terms of inter-bloc cooperation. Only 19 use the euro single currency, smaller groups cooperate on matters such as taxes and divorce laws, and not all countries are part of Europe's passport-free travel area. Commission President Jean-Claude Juncker conceded that some countries fear this multi-speed Europe could be "seen as introducing a new dividing line, a new kind of Iron Curtain between East and West." The prospect of an influential member like Britain leaving the EU, probably in 2019, has deeply shaken its partners. The bloc was already struggling to recover from the economic crisis and facing a refugee emergency that undermined trust between neighbors. Beyond that, a spate of terror attacks in European cities heightened security fears and the far-right has taken advantage in a pivotal election year. German Chancellor Angela Merkel said Europe's motto must be "that we are united, but also united in diversity." "We already have today a Europe of different speeds," she said, adding that the spirit should be that things are "open for every member state to participate, there is no exclusion." Complicating the calls for cohesion is a spat that broke out late Thursday between Poland and the other EU nations. The nationalist government in Warsaw tried to block Tusk — a former Polish prime minister and bitter political rival — from a second term as Council president. Poland even refused to approve some summit texts. "I am convinced that this will be an episode," Austrian Chancellor Christian Kern said. "I see no sense, either for the Poles or the rest, in going to sulk in a corner." Europe must concentrate on matters of substance — jobs, economic growth, migration and security — "and there are good approaches from which I think we have a good chance of finding a consensus among the 27," Kern said. Luxembourg's prime minister made clear that frustration with Poland lingered, saying that "behavior like yesterday's is not acceptable." "I don't think yesterday will be the long-term state of the EU," Prime Minister Xavier Bettel said. "I am convinced that Poland will become sensible again in the coming days and weeks."